This season our 1st men’s team plays in the highest of the Berlin leagues, the Verbandsliga, with all other men’s teams following suit in almost all Berlin leagues. In addition, we have women’s and senior teams in higher Berlin leagues. As one of the few table tennis clubs in Berlin we offer systematic training for women’s and men’s teams under guidance of a licensed coach. In the past years our 1st men’s team has regularly played in Berlin’s highest league, the Verbandsliga. In the 2015/16 season the team could for the first time compete in the Verbandsoberliga East. Due to the relatively close playing ability of all team players in the club, there is always a good chance to practice with others at an equal level. Over the past years we re-established our women’s teams (1st women's team, 2nd women's team). The teams consist of players from our youth and newly recruited players, and currently play in the Verbandsliga and the Bezirksliga. We further have two senior teams with O40 players from the men’s teams, the 1st team of which plays in the 1st league. 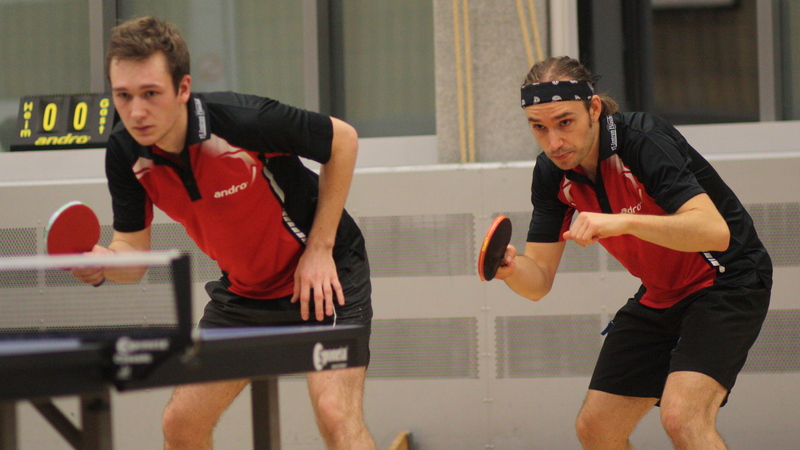 Our players also regularly compete in tournaments of the Berlin Table Tennis Association (BTTV) or of other clubs. We offer training sessions under guidance of qualified and experienced coaches for particularly active team players two times a week. These sessions consist of different exercises to improve individual technical and tactical skills. At all other sessions players can train on their own. All possibilities for training are summarized here. For those who cannot make it to practice during the week, an additional training session takes place on Sundays. Our annual club tournaments, a club ranking and a club championship, enjoy great popularity. The club ranking is an all-play-all “Top 8 tournament”, for which we play two qualification rounds open to all players. The club championship is at the same time our end-of-season summer party, and all team players are eligible to compete. Each December we further organize a Christmas tournament with doubles only, meant to be a mid-season final where competition shall take a back seat. It is of utmost importance to us to integrate youth players at appropriate levels into men’s training sessions and teams. Many of our team players started in the “bambini” or beginner’s groups of our club. But also new members with enthusiasm, sportsmanship and a sense of community joined the club in past years and are always most welcome. In case of any further questions, please contact either Christian or Christoph.